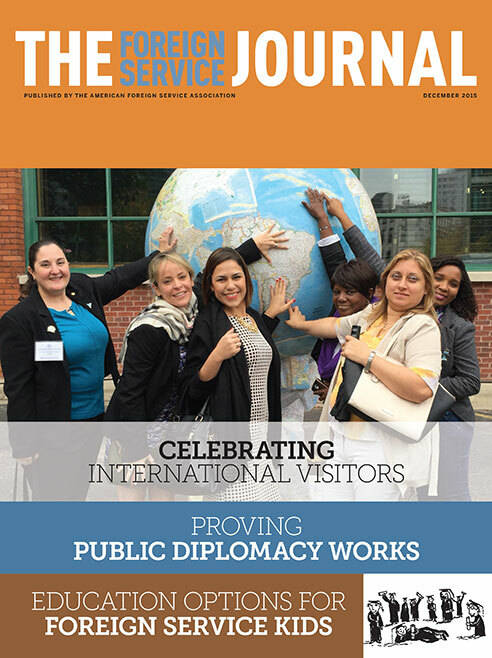 The December issue focuses on the International Visitor Leadership Program. America’s premier exchange program is 75 this year. In this selection of personal experiences, participants offer insight into its unique effectiveness. Retired Chicago Tribune foreign correspondent Richard C. Longworth discusses his 1977 “Primer for Diplomats,” a concise and still timely survey of the duties of diplomats and the importance of diplomacy. Improvements in the Free Application for Federal Student Aid are slated for the 2017-2018 academic year. For most Foreign Service families, the education of their children is a primary bidding concern. Here is an overview of the many options.